The miniBlink is a minimized pocket sized bluetooth receiver by Arcam, a respected manufacturer of high-end amps and CD-players. Arcam has already brought us the rBlink Bluetooth DAC, an audiophile level wireless receiver and DAC. 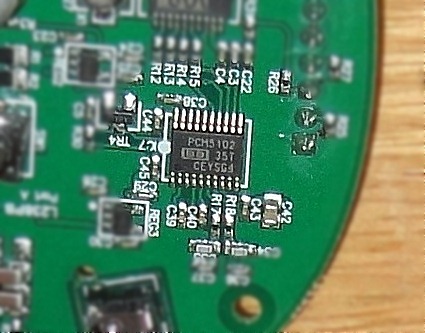 They share some crucial components such as the costly Burr Brown PCM 5102 DAC chip. With this powerful heart and apt-x tech Arcam miniBlink can guarantee you the real crystal clear sound at audiophile level, it can stream music straight from any Bluetooth compatible device to HiFi speaker system with quick and simple setting procedures. 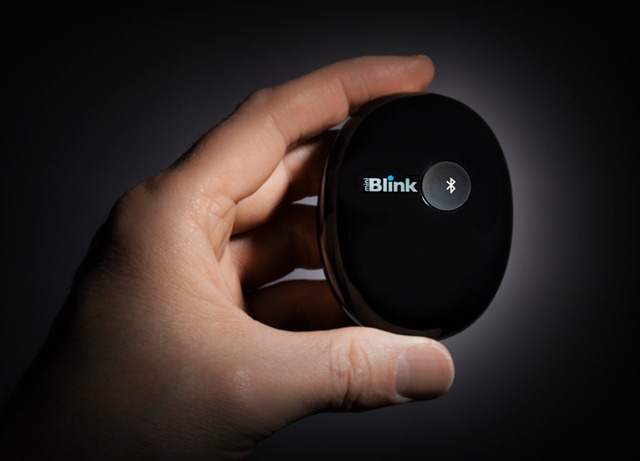 The miniBlink weighs just 40 grams and has a cute little oval shape. Unlike its older cousin rBlink who owns a whole range of audio interfaces, miniBlink only has one 3.5mm audio output jack and a mini-USB power socket to drain power. 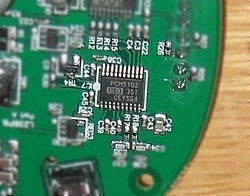 With a trivial pairing button that is all that needed to get the miniBlink work with any audio system. The miniBlink uses the latest Bluetooth technology and balanced hardware design, offering lower noise and lower distortion levels than previous versions of Bluetooth streaming DACs. As a HiFi receiver miniBlink is unquestioned apt-X compatible, that is a necessary highest transmission codec before lossless. 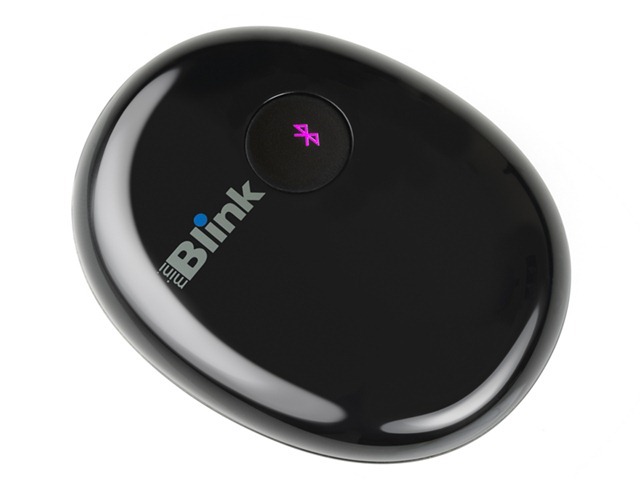 Although miniBlink can stream music from Android devices, iPhone, iPod Touch, iPad, PCs, Macs or tablets. As long as the streaming device has a Bluetooth interface. But you won’t get the very best sound quality of this Bluetooth music receiver without apt-X supporting source device. You’ll be able to enjoy better quality sound quality if you have a compatible device from which to stream.With both compatibility of source device and receiver can, you get the near CD audio quality. 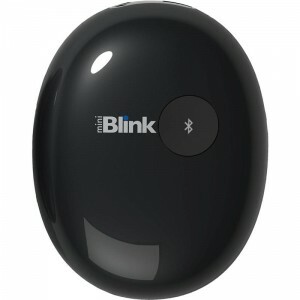 The miniBlink provides a well balanced sound with extreme details, big scale and deep bass. Sense of space and positional feeling are so clear.the Arcam miniBlink bluetooth receiver sounds buttery smooth and doesn’t sacrifice detail or lose any of its cutting edge. Just like Arcam engineers claims it squeezes a level of audio quality and sonic purity you’d expect from a conventional CD. The tiny miniBlink Bluetooth DAC is an excellent way to link your music player to a conventional hi-fi.The miniBlink Bluetooth receiver is designed for HiFi speaker systems now some ordinary ones,it has more impressive DAC hardware built into it, and looks nicer. The audio circuitry is engineered by Arcam to ensure real audiophile sound quality. The miniBlink Suits anyone who already has a high-quality hi-fi system,lacking of Bluetooth transmission ability, and doesn’t want to upgrade to a whole new system. For Bluetooth convenience, without sacrificing sound quality, the Arcam miniBlink is the ideal solution. The miniBlink even comes with a PSU and all required cables. This makes the Arcam miniBlink a splendid match for even very high end audio systems. If Arcam can be able to add one digital output in this gadget that will be a perfect product.Maybe I demand to much for a little device like this.